In lieu of flowers, memorial donations may be made to the Young at Heart Sunday School Class Benevolence Fund and left at the funeral home. 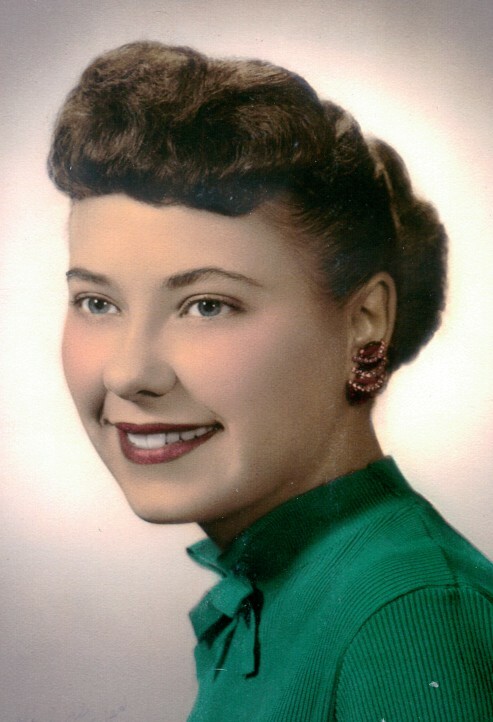 Norma Jean Gundy, age 78, of El Dorado Springs, Missouri, passed away December 27, 2016. Norma Jean was born November 26, 1938, at Nevada, Missouri, the daughter of Lloyd Gundy and Gladys (Eslinger) Gundy. Norma Jean attended Walker School and graduated from there in 1956. She then moved to Kansas City with her best friend Georgia (May) Russell, where they worked at Hallmark. Norma Jean married Darrell Estes in 1960. To this union two children were born. Norma Jean worked several jobs, including being the secretary to the school Superintendent, an aide at the Nevada Rehab Center, and her favorite, as police dispatcher. Norma Jean was a little ornery, and she lived life to its fullest. She spent the last eleven and a half years at Community Springs Care Center. The staff there were always commenting on her smile and friendliness. They were very good at spoiling her, and she considered them her extended family. She loved and spoiled her grandchildren and her great grandchildren. Norma Jean was baptized at a young age in Walker, MO. She loved attending services at Community Springs and was there faithfully every Sunday. Preceding Norma Jean in death were her parents; her brother, Ronald Gundy; and Darrell. Survivors include her two children: Cindy Graves and husband Clarence of El Dorado Springs, MO and Julie Deckard of El Dorado Springs, MO; grandchildren: Josh and Brandi Deckard and family, Jessi Deckard and family, Michael Graves, Jarrod and Stacie Schmidt and family; and her brother, Chuck Gundy and wife Linda. Funeral services for Norma Jean were held on Friday, December 30, 2016, at 11:00 a.m. at Bland-Hackleman Chapel with Pastor Ron Marsh officiating. Interment followed in Clintonville Cemetery under the direction of Bland-Hackleman Funeral Home. Pallbearers were: Brent Gundy, Craig Gundy, Michael Graves, Jeremy Bledsoe, Jacob Walsh, and Chris Vickers.